The event will comprise 255 competitive kilometres over 14 closed-road stages. Perched on top of the Mount Hotham summit 1861 metres above sea level, the Hotham Heights village will play host to the event’s operations and official start and finish celebrations. The official indicative rally route will see competitors drive through some of Australia’s most stunning alpine country in North East Victoria – taking in Mount Hotham, Falls Creek and surrounding towns including Harrietville, Omeo and Mount Beauty and Mitta Mitta. 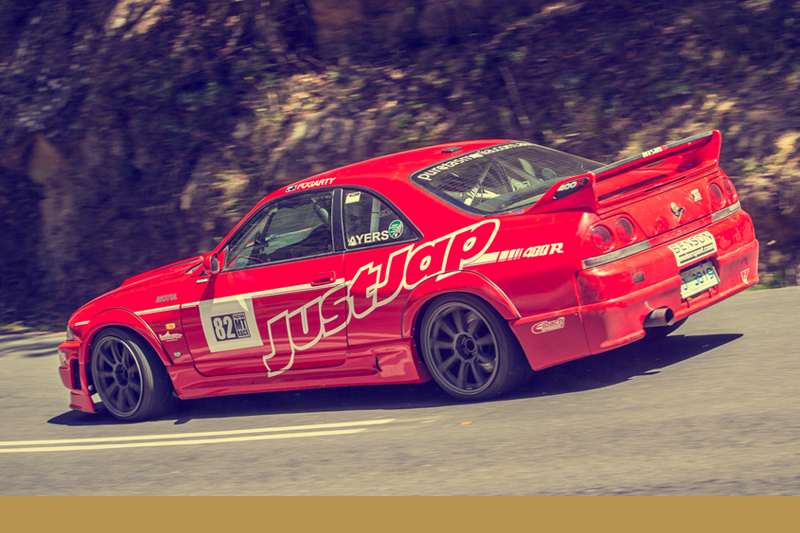 The design and execution of Hotham Auto Corsa is driven by a passion to deliver a world-standard experience; not only for participants but also spectators and the communities in which it is conducted. The course has been designed with a competition-to-touring ratio of around 50 percent. By making each competitive stage longer and minimising touring, the event’s 255 competitive kilometres have been condensed into a two-day structure; making it more accessible to those competitors with busy work commitments. Safety is a priority, and so careful consideration was given to selecting well-maintained technical roads that will produce low average speeds. This stunning alpine region has a genuinely European feel thanks to the unparalleled scale of mountains and ranges through which competitors will pass. Hotham Auto Corsa has been designed specifically for Mount Hotham with the principal motivation of driving green season visitation and economic benefits to the tune of 5,000 associated bed nights. Day one will see cars travel 112.6 competitive kilometres over seven closed road stages. From Mount Hotham, the field will head east to the outskirts of Omeo. The Omeo Highway will play host to a 6.3km warm up stage which will ease crews into competition, followed by a further three highly technical stages taking in Anglers Rest, Glen Wills and Snowy Creek. Following a lunch break in Mitta Mitta, the cars will complete the morning’s stages in reverse finishing with the day’s longest stage, the 26.1km Glen Valley. A ceremonial finish will be held just outside the Omeo Show on the Omeo Highway, and a number of cars will be on display inside the Showgrounds from about 2.30pm. Day two will produce a further technical seven stages over 141.9 competitive kilometres. Crews will be re-started from Hotham Heights Village and head down the famed Great Alpine Road, towards Harrietville taking in a 6.1km Mount Hotham warm up stage along the way, followed by the 17.7km Mount Feathertop stage. The cars continue along the Great Alpine Road before heading north towards the 16.5km German Greek stage. The 28.5km Mount Beauty stage will see the cars ascend to Falls Creek where the cars will stop for lunch. Cars will then descend from Falls Creek, covering the 28km Falls Creek stage before re-grouping in Mount Beauty. The field then commences its journey back to Mount Hotham for official podium finish celebrations but not before completing the 16.2km Tawonga Gap stage and the event’s final and longest stage, Great Alpine, which comprises a 28.9 kilometre climb of Australia’s highest sealed through road, the Great Alpine Road.